Niigata Prefecture (新潟県, Niigata-ken) is a prefecture of Japan located on the island of Honshu on the coast of the Sea of Japan. The capital is the city of Niigata with which it shares the same name. Until after the Meiji Restoration, the area that is now Niigata Prefecture was divided into Echigo Province (on the mainland) and Sado Province. During the Sengoku period, the Nagao clan, who were at times vassals to the Uesugi, ruled a fief in the western part of modern Niigata from Kasugayama Castle. The most notable member of the Nagao clan was Nagao Kagetora, later and better known as Uesugi Kenshin. He unified the leaders of Echigo Province and became its sole ruler. By taking the surname Uesugi, he also became the head of the Uesugi clan and effectively brought their realm under his control. The city of Niigata is now the third largest Japanese city facing the Sea of Japan, after Fukuoka and Kitakyushu. It was the first Japanese port on the Sea of Japan to be opened to foreign trade following the opening of Japan by Matthew Perry. It has since played an important role in trade with Russia and Korea. A freighter from North Korea visits Niigata once a month, in one of the few forms of direct contact between Japan and that country. The Etsuzankai organization, led by the politician Kakuei Tanaka, was highly influential in bringing infrastructure improvements to Niigata Prefecture in the 1960s and 1970s. These included the Jōetsu Shinkansen high-speed rail line and the Kanetsu Expressway to Tokyo. On October 23, 2004, the Chūetsu earthquake struck Niigata Prefecture and was measured at Shindo 6+ at Ojiya. On January 9, 2006, a heavy winter storm struck the prefecture and its neighbors. At least 71 people died and more than 1,000 were injured. Also in 2006, a massive tsunami and earthquake damaged homes and caused casualties in the maritime areas of Niigata Prefecture, especially near Sado Island. On July 16, 2007, another earthquake hit the area. 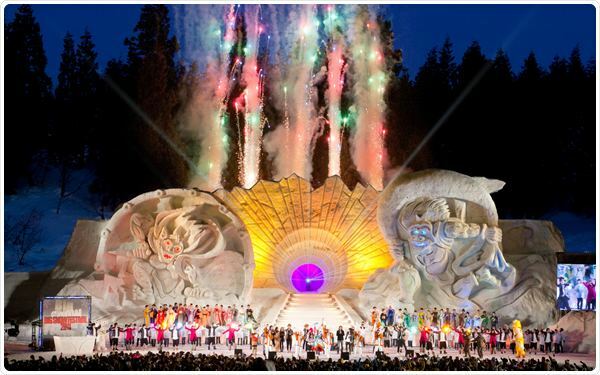 Niigata Prefecture hosts the Fuji Rock Festival, an annual event held at the Naeba ski resort. The three-day event, organized by Smash Japan, features more than 200 Japanese and international musicians. It is one of the largest outdoor music events in Japan, with more than 100,000 people attending in 2005. Niigata Prefecture stretches about 240 km along the Sea of Japan, from the southwest to the northeast, with a coastal plain between the mountains and the sea. It also includes Sado Island. Niigata Prefecture could be placed in either the Hokuriku or the Kōshinetsu, both of which are considered parts of the Chūbu region. The prefecture is generally divided into four geographical areas: Jōetsu region (上越) in the south, Chūetsu (中越) in the center, Kaetsu (下越) in the north, and Sado Island. The mouth of the Shinano River, the longest river in Japan, is located in Niigata Prefecture. As of 1 April 2014, 25% of the total land area of the prefecture was designated as Natural Parks, namely Bandai-Asahi, Chūbu-Sangaku, Nikkō, and Oze National Parks; Echigo Sanzan-Tadami and Sado-Yahiko-Yoneyama Quasi-National Parks; and thirteen Prefectural Natural Parks. The major industry in Niigata Prefecture is agriculture. Rice is the principal product, and among the prefectures of Japan Niigata is second only to Hokkaidō in rice output. The area around Uonuma is known for producing the Koshihikari variety, widely considered to be the highest-quality rice produced in Japan. 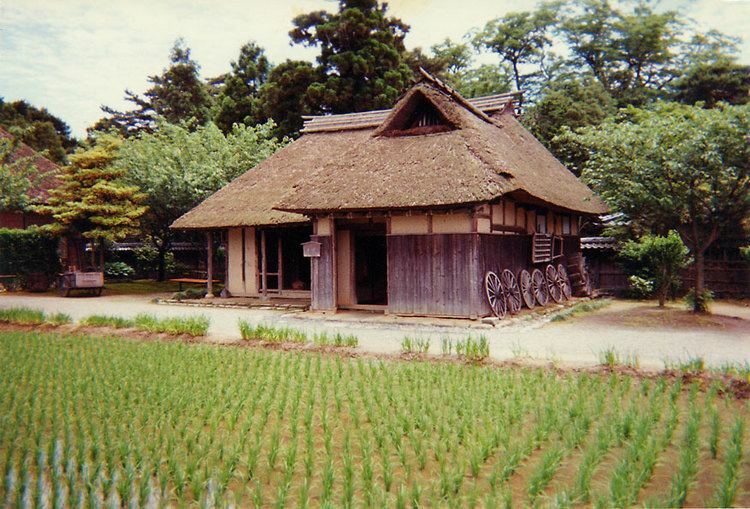 Rice-related industries are also very important to the prefectural economy. 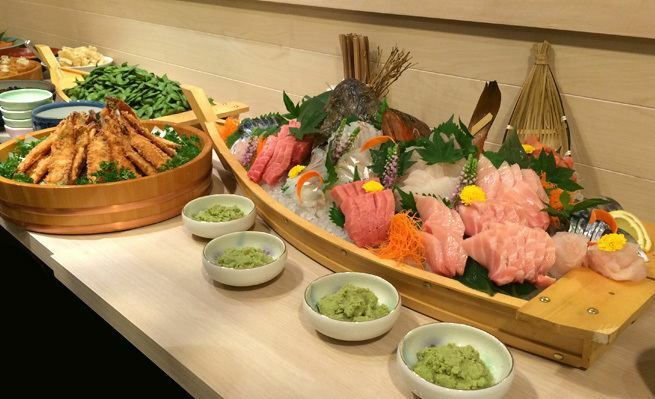 Niigata Prefecture is known throughout Japan for its high-quality sake, senbei, mochi, and arare. In sake production, the prefecture comes third after Gunma and Kyoto prefectures. The prefecture was also the place of origin of the ornamental carp known as koi. Niigata Prefecture produces the highest volume of azaleas and cut lilies in Japan, and is increasing production of cut flowers and flower bulbs. 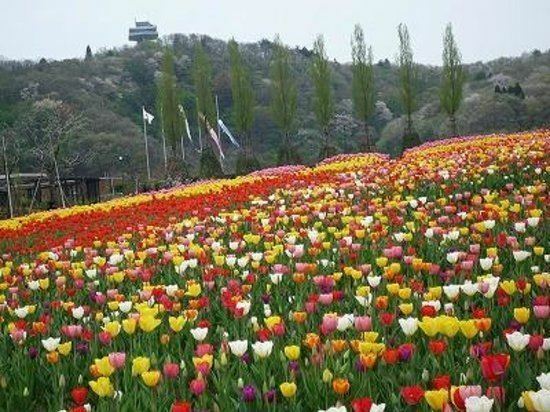 Along with Toyama Prefecture, it produces the highest volume of tulips in the country. Crude oil is produced in Niigata Prefecture, although Japan relies heavily on petroleum imported from other countries. Kerosene heaters are also produced for use in the cold Niigata winters. Kinzan, on Sado Island, was an active gold mine until it was closed in 1989. 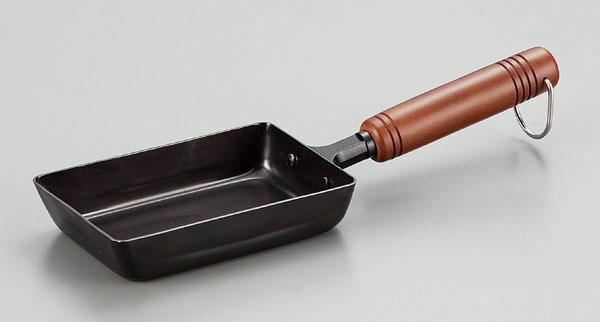 Sanjō and Tsubame produce 9 percent of all the silverware made in Japan. The two cities are second after Osaka in the production of scissors, kitchen knives, and wrenches. Niigata Prefecture may have been the first area in Japan to produce knitted textiles, although the earliest products may have been imported from China. The nuclear power plant which formerly had highest energy output in the world is located in the tiny village of Kariwa. It has been closed since the Fukushima Daiichi nuclear disaster. In the Census of 2003, Niigata ranked as the 14th most populous. United States of Tara (2011): a comedy-drama series on Showtime; Kate is about to embark on a trip to teach English in Niigata when a flight attendant tells her that the only thing she will hopefully find in Niigata is "a life lesson and a bullet train back to Tokyo." Much of the tourism in Niigata centers around skiing, especially in the alpine areas of Myōkō and Yuzawa, and going to onsen. Sado Island off the west coast of Niigata is accessible via ferry (taking one to two and a half hours) from Naoetsu or Niigata City. Professional sports clubs include Albirex Niigata, a J-League Division 1 Soccer Club, and Niigata Albirex BB, a BJ (Basketball Japan) League team. Yujiro Takahashi (born 1981), professional wrestler from Niigata City.